Many golfers believe that flexibility issues stop them turning.Trying to lift the left heel in the backswing often causes sliding and lifting of the posture. 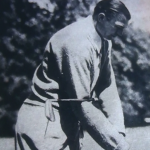 Not many modern players lift the left heel.To coil properly and maintain the Shape of the body the lower half needs to turn from the correct area. We have just uploaded a new video where Gary talks about the range of motion on the lower-half and how to turn it properly. Taylor Cooper finished in a tie for 8th in a very strong field at the Ron Crouch Transport Wagga Wagga Pro-Am at Wagga Wagga Country Club. He finished on 4-under-par with Peter O’Malley and James Nitties. Rebecca Artis played for the first time against the Men this week in the same tournament and put in a very solid performance. 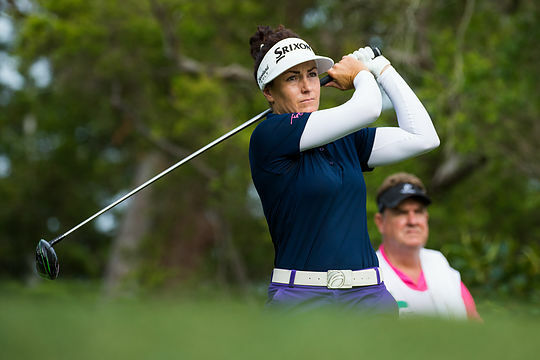 She finishing in a tie for 27th on 2-under-par. Well played Taylor and Rebecca. The correct Arm Bias at set-up is crucial in determining the shape of the body and how the arms work during the swing. If your grip looks wrong then your arms are probably wrong! 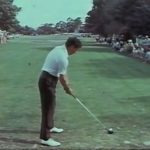 There are a quite a few videos inside the Members Area that go into detail about the correct Arm Bias and how to maintain the angle of both wrists during the swing. Arm Bias is probably the most overlooked concept in the Golf Swing but it has the greatest influence on its initial direction. 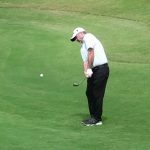 Peter Senior fired a bogey-free round of 67 and has returned to the winners list on the Legends Tour at the Moonah Links Legends on the Legends. 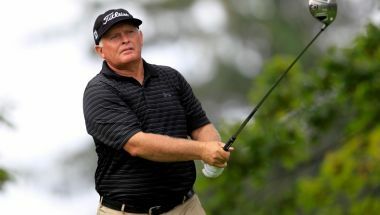 He finished two shots ahead of Steve Aisbett, Peter Lonard and Peter Fowler. Peter Lonard won the 2003 Australian Open with some stunning play on the back nine at Moonah Links. Senior had 13 pars and 5 birdies in blustery conditions. Congratulations Peter! The swing Matt Kuchar won the Sony Open with in Hawaii was so different to his swing six years ago and is almost unrecognisable from his original action. We have just posted a new video. Gary analyses his swing progression and talks about why he is now one of the most consistent ball strikers on tour. Enjoy! If you tilt or straighten the top half of the body going back the arms tend to go too far behind it. The way the right arm works is a bit of a mystery to a lot of golfers because they have such bad posture and arm angles at set-up. We have just uploaded a new video to the Members Area. Gary explains the correct arm structure and what he means when he say’s “The Arms Pull the Body” into a coil. Tour players can chip the ball in low and get a lot of spin. To hit it hard and be able to stop it you need to present the full face when you chip. Most people get into trouble because the have to add loft and scythe across the ball to get it up. 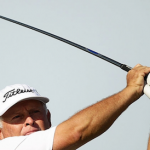 We have just posted a new Tour Player Lesson.